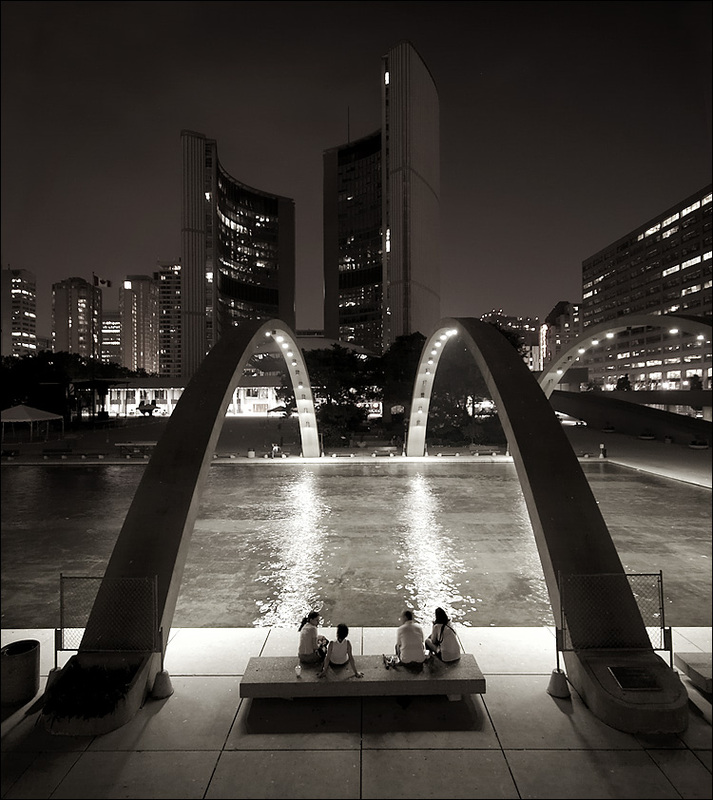 nathan phillips square and city hall in toronto. shot at the same night as this photo. ... and happy belated canada day to all. note: I was experiencing some technical difficulties over the last month due to moving servers, and I just realized that I wasn't receiving any emails sent to my print and inquire accounts from June 1st until last friday; which means all the print orders from last month were sitting on the server without me knowing. I went through them all in the weekend and answered but I apologize to all of you who were trying to contact me via those accounts. the problem is now resolved and all accounts are working.